You can depend on Siding & Windows Group for siding, replacement windows and gutter needs. We are proud to be an established siding contractor in Evanston and have installed siding and windows to hundreds of homes in the Evanston and surrounding area. We take pride in offering excellent customer service with honest and straightforward answers, while working promptly with only the highest quality craftsmanship and products, such as James Hardie fiber cement siding. The photograph above is of a siding remodel we completed in Evanston. We used Vinyl Siding by CertainTeed to transform this home into one that is the envy of the neighborhood! Learn more about this and other siding projects in Evanston and the surrounding area here. 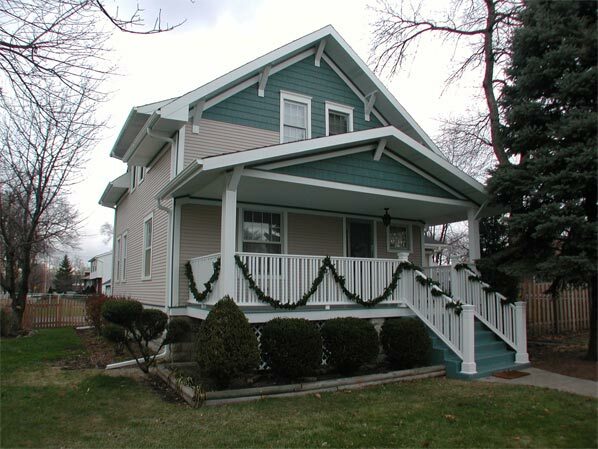 Why are we the siding contractor in Evanston that stands out from the rest! At Siding & Windows Group we’ll not just help with finding the best material to use, but also the best color to match the home and make sure that it is installed perfectly and on budget! Our siding and window materials are durable as well as high quality to make sure your investment is worthwhile. To find out more or to get an estimate, please contact us today; we will be happy to help, and answer any question you may have. We take pride in making sure that jobs are finished right and there is no need for taking shortcuts. We want you to have the best looking home possible; a home that you are proud of and that you’ll want to come back to us time and time again. We constantly look at the new innovations to stay ahead of the rest and make sure you can make the most well-informed decision for your needs. We are fully accredited with the Better Business Bureau, and have many glowing reviews and testimonials from happy clients. Contact us today for all your questions and needs, and find out more about the products and services we have on offer. Call us at 847-251-4200 for a free estimate and one of our siding professionals will be happy to help and get you started on your exciting new siding or window replacement remodel.